Pail and shovel available in yellow, blue, green, red, or white. Portable to take on a trip at the beach or just out in the backyard. 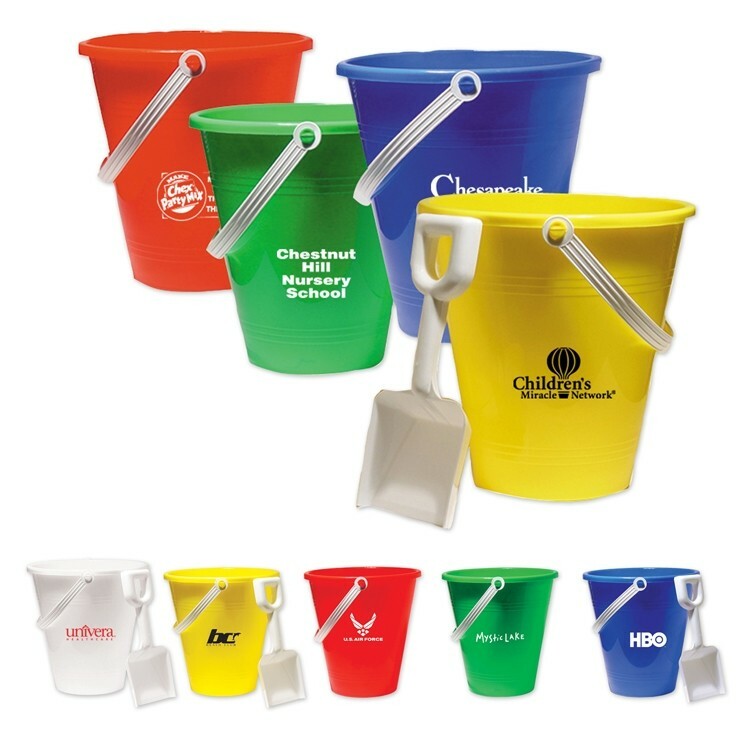 Our plastic sand pails are perfect promotional giveaways for resorts, vacation spots, beach clubs or spas! Includes a white plastic shovel. Ideal for day cares, travel agencies and community centers. One color imprint only.